While serving in the Presidency of the Seventy, Elder Ulisses Soares often traveled with members of the Quorum of the Twelve Apostles—men he now counts as fellow Apostles. “Many times I watched them travel all night and arrive at their destination. They would take a quick shower, change clothes, and then head to meetings with the members,” he said. But crazy schedules aside, traveling members of Twelve almost always find an hour here or there to be with the local full-time missionaries. The two groups, they say, enjoy an eternal kinship testifying of Christ. 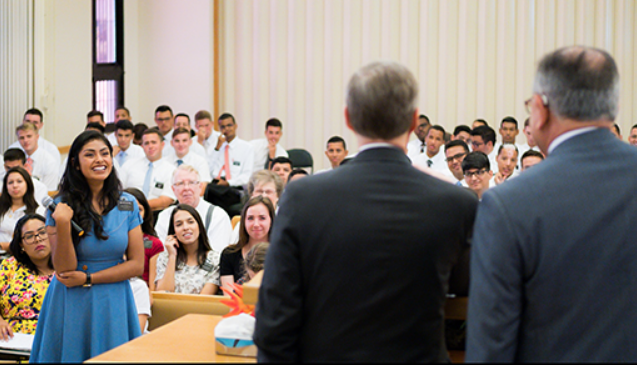 The Apostles and the Church’s 65,000-plus full-time missionaries share a sacred, even symbiotic relationship. Each depends upon the other to fulfill their divinely issued call to share the gospel.